While Rafael Nadal is making strides in his serve, Andy Murray is struggling with is, according to his former coach Brad Gilbert. Gilbert was on a pre-French ESPN conference and shed some numbers on Murray’s slump this year, specifically his poor serving. “I think the struggles this whole year are on his serve<" Gilbert said. "Last year he held at a career-high 85% of the time. This year 78%. That's 7% less, which is huge. He was winning 54% of his second-serve points last year, 50% this year. Maybe the biggest one was he was saving 66% of his breakpoints last year, 55% this year. Serve numbers are way down. Lendl will be onboard this week, the practice week. Obviously needs to get some momentum. I think of all these slams as two parts: the first part is get through the first week, then all of a sudden get through the first week and maybe you can get back and make a deep run. "He was dictating play a lot more last year on clay, especially with the forehand, playing more offensive minded. He is definitely playing a little more defensive minded. Having that balance between offense and defense, that has been an issue. Gilbert added that Murray could also draw inspiration from Roger Federer and Rafael Nadal's resurgence. "He's not a satisfied guy," Gilbert said of the Scot. "He's not materialistic. He loves the fight. He's not about the show and the bling. He loves the guts and working hard. Whether or not the shingles had a little more effect than people thought, a little bit of dip in form, tired. One thing I really have noticed, if you look at all of his serve stats, they're way down. They haven't been this low since 2006. The serve stats are lower. That's definitely a bit of an issue. "But I do think with the resurgence of Federer and Rafa, I think that will only inspire Novak and Andy. Okay, these guys are older than me. They're back in the mix like it was 2006, '8, all the way through '12, '13, Djoker and Murray were chasing them. Now it's back to those guys chasing them again. 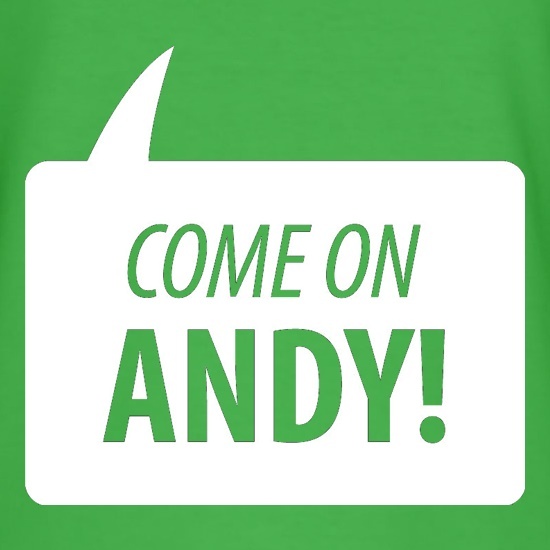 I think this will inspire Andy to put a little fuel to the fire." At present, Murray ranks 39th in service games won pct this year at 78% (he finished 10th at 85% last year). On second serve points won pct, Murray ranks 42nd at 50% (he was 10th at 54% last year). Murray is on par in his return games numbers, but as Gilbert correctly points out, the serve has been a letdown this year. Hmm, I don’t think those percentage changes are huge differences. I could see if Murray was losing close matches where those few percentage points would make a difference, but not all of his loses have been close ones. Still, a higher service percentage never hurts. What’s weird overall about this is when I watched him play doubles at Indian Wells, he hit some really huge serves in the 130s. I guess that was a fluke. Bloody hell, Andy is having some bad luck. I think he should withdraw from RG and come home. 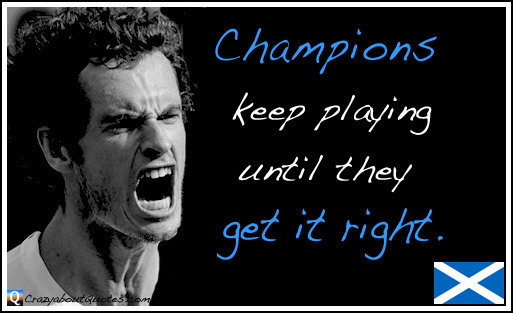 @M…Terribly sorry to hear about Andy…I wish him the best of luck for the rest of the year.. Thanks AM honey. Am resigned to Andy not doing well, or pulling out, which would be better. Oh!btw…New beau? ?Awww!..Is it the new hot boy Sascha?..hahaha!..I knew it M!!!…. P/S…Can’t wait to ‘fight’ with u in the Bracket M! !I hope u well prepared with karate,Tai Chi etc etc M!Wooohooo! !..C’mon!Bring it on!! With htis Murray news, guess he is out of the picture for RG last 4. Seems Wawrinka (if able to survive first week) or Zverev will be in semis on top half. Terrible news about Murray. Boy, that side is wide open!